We're (Hopefully) Live With The Division 2! 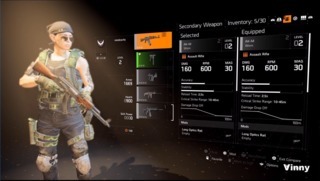 The Division 2 servers are going live today so let's roll those dice and try to get that sick loot before everyone else does! Copyright © 2019 Video Games News & Reviews - Com4us. Video Games News & Reviews - Com4us is a participant in the Amazon Services LLC Associates Program. Affiliate advertising program like Video Games Electronics - Macy's Affiliate, designed to provide a means for sites to earn advertising fees by advertising and linking to amazon.com.